During June, Modern Marketing Partners will be hosting two webcasts. The first will be on Thursday, June 9th at 1 PM CST, titled Software Marketing Best Practices: Executive Briefing. The second, Thought Leadership Best Practices: Executive Briefing, will take place on Tuesday, June 14th at 1 PM CST. For complex or expensive products, customers won’t buy from just anybody. These purchase decisions take time and research; buyers want experts. Thought leadership is one of the most effective ways to prove your company to prospective customers. Although this is a great marketing tactic, it’s becoming more widely used than ever. How do you stand out for less? Understand the challenges of thought leadership. Learn how even small brands can attain category leadership, and beat even the biggest competitors. Be privy to proprietary processes for building a thought leadership brand. Learn tactics for significantly increasing lead generation, with less marketing spend. Dramatically increase website traffic and search authority. Achieve media placements, mentions, and speaking opportunities. Measure and report KPIs via a marketing dashboard. Case Study – Learn how a small software brand achieved category leadership and doubled sales for 3 consecutive years by implementing marketing best practices. Register for this free webcast here. 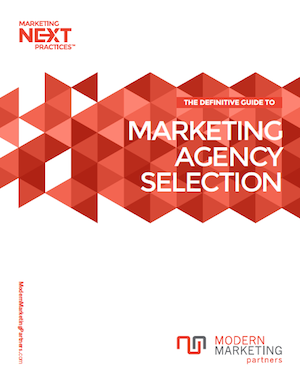 Learn more about Software Marketing Best Practices: Executive Briefing here.